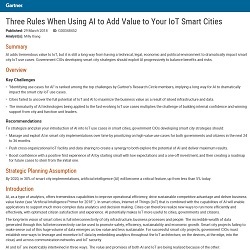 Coordinate data sharing across organizations to explore AI potential for your smart city solution. Identify high-value use cases that provide near-term benefit to you and your citizens. Start with small, strategic projects that maximize your investment and generate positive experiences.